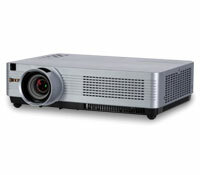 A perfect projector for the classroom, with performance features and network control. 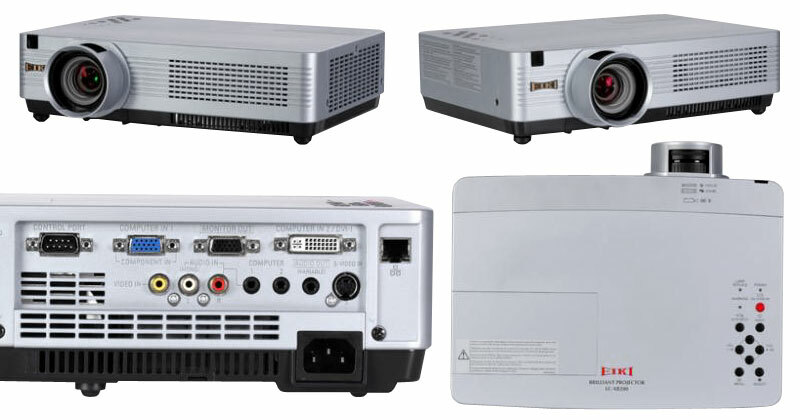 The LC-XB200 is a low cost projector with a high brightness, it’s affordable & is low cost per lumen. Compact and lightweight, the LC-XB200 is easy to carry or install. The projector is able to convert from Interlace to Progressive and is UXGA & WXGA compatible. The countdown can be optionally skipped at startup, and the AC power cord can be removed immediately after OFF. The logo function allows you to customize the screen logo. You can capture an image for the screen logo and use it for the starting-up display or between pesentations. Operation menu is available in 17 languages: English, German, French, Italian, Spanish, Portuguese, Dutch, Swedish, Finnish, Polish, Hungarian, Romanian, Russian, Chinese, Korean, Japanese and Thai. 3500 ANSI Lumens, 85% uniformity, and 500:1 contrast ratio. Weighs 6.2 lbs (2.8 kg) Compact and lightweight design. Wired Network Monitoring and Control. Digital Zoom 50%~400%. VGA & DVI-I computer input, and VGA computer monitor output. Custom warm-up screen image option. Colorboard modes. Anti Keystone Fixed Image Offset, Ratio (Top:Bottom) 9:1 Cabinet Size (HxWxD) 3.3" x 12.8" x 9.1"